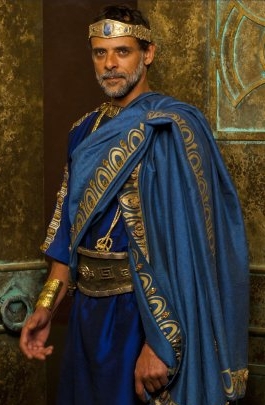 Atlantis Season Two Premieres Same Day As UK! The second season of BBC America’s action-fantasy hit series Atlantis will premiere on Friday, November 15th – the same day as its premiere on the UK network BBC. 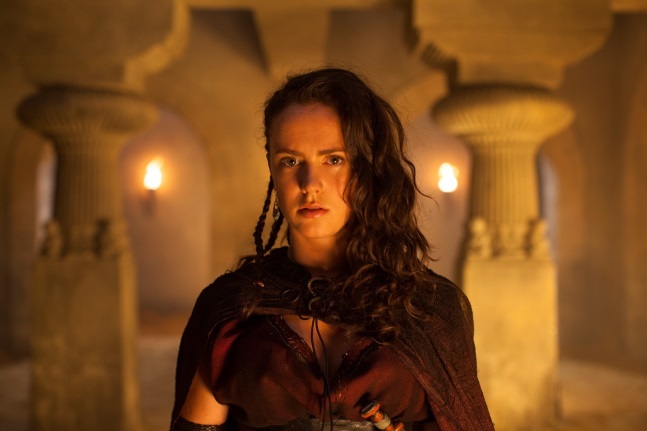 The new season introduces new character Medea (Amy Manson), Princess of Colchis – and the exiled Pasiphae’s niece (who also has the gift of magic) and Dion (Strike Back’s Vincent Regan). With the political upheaval that ended season one, Queen Ariadne asks Jason and friends Hercules and Pythagoras for their support – thrusting them into even more daunting adventures. 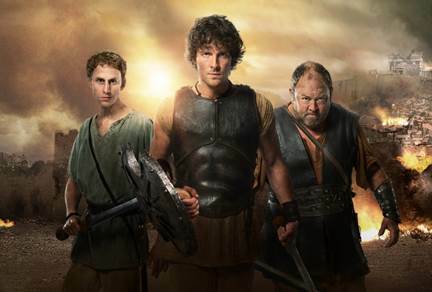 Atlantis’ highly entertaining take on Greek mythology stars Jack Donnelly as Jason, Mark Addy as Hercules, and Robert Emms as Pythagoras. Also returning are Aiysha Hart as Queen Ariadne, Alexander Siddig as King Minos, Jemima Rooper as Medusa, Sarah Parish as Pasiphae and Juliet Stevenson as the Oracle. For further details, follow the jump. New York – November 5, 2014 – From the creators of the global hit Merlin and BAFTA award-winning series Misfits, BBC AMERICA’s co-production, Atlantis, returns – plunging ever deeper into the machinations of the legendary city and its celebrated heroes. A year has passed and much has changed. 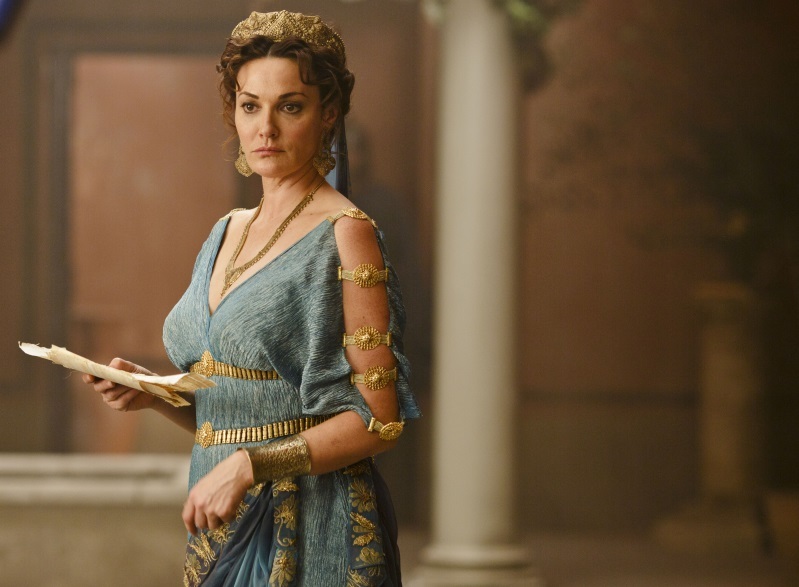 With Minos dead, Ariadne (Aiysha Hart, Honour) is Queen and finds herself at war with her old adversary Pasiphae (Sarah Parish, Hatfields & McCoys). The kingdom stands on the brink of collapse and the struggle for power is both bloody and brutal. 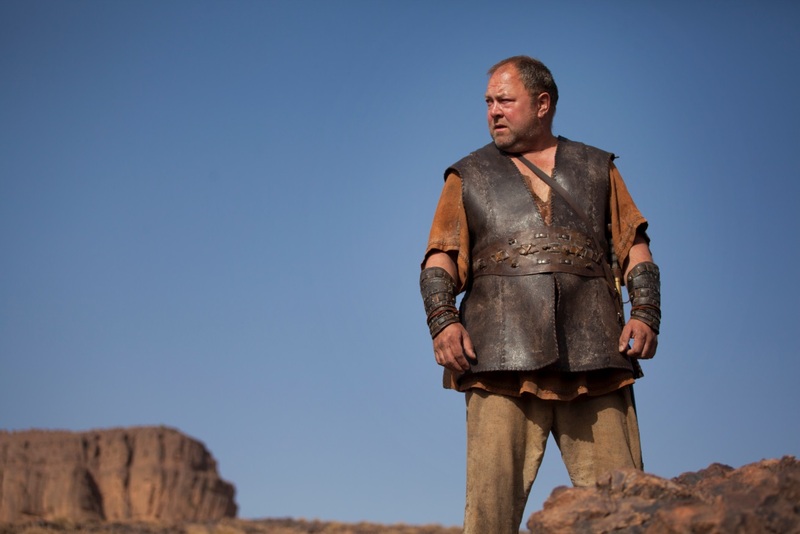 With the future looking bleak, Ariadne turns to her most trusted friends for support and so, Jason (Jack Donnelly, Dancing on the Edge), Hercules (Mark Addy, Game of Thrones) and Pythagoras (Robert Emms, War Horse) are thrust into the very heart of politics and power in the city. Additions to the cast include Vincent Regan (Strike Back) as Dion and Amy Manson (Being Human) as Medea, with guest appearances made by Robert Pugh (Game of Thrones) and Peter de Jersey (Broadchurch) in episode one. 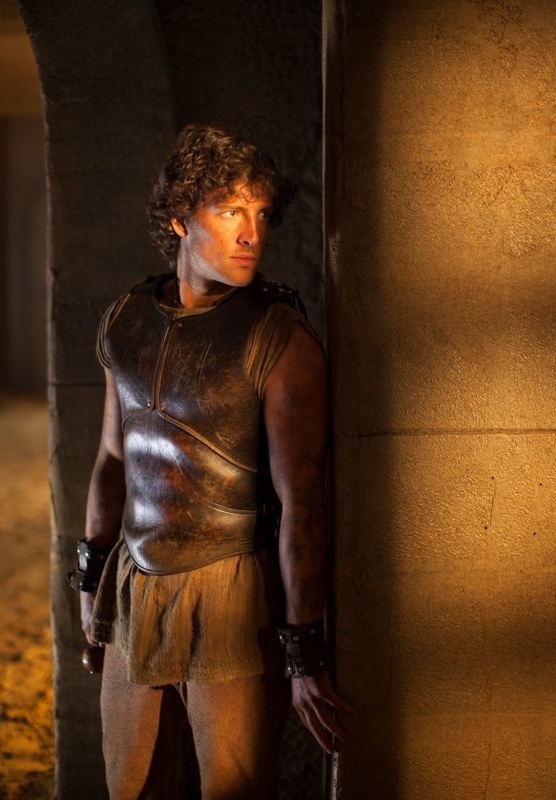 Atlantis returns Saturday, November 15, 9:00pm ET as part of BBC AMERICA’s Supernatural Saturday. Season one introduced Jason, a young man who went in search of his missing father and ended up on the shores of the ancient fabled city of Atlantis – a magical place filled with secrets and deceit to which Jason seems inexplicably bound. Befriended by Hercules and Pythagoras, Jason embarked on an epic adventure, battling against some of the most famous names of Greek legend, often in unexpected guises. Before long Jason caught the eye and heart of the beautiful Ariadne, the princess of Atlantis whose family and royal standing restricts who she may love. As a result, Jason discovered the treachery of Atlantis’ rulers, particularly Queen Pasiphae. 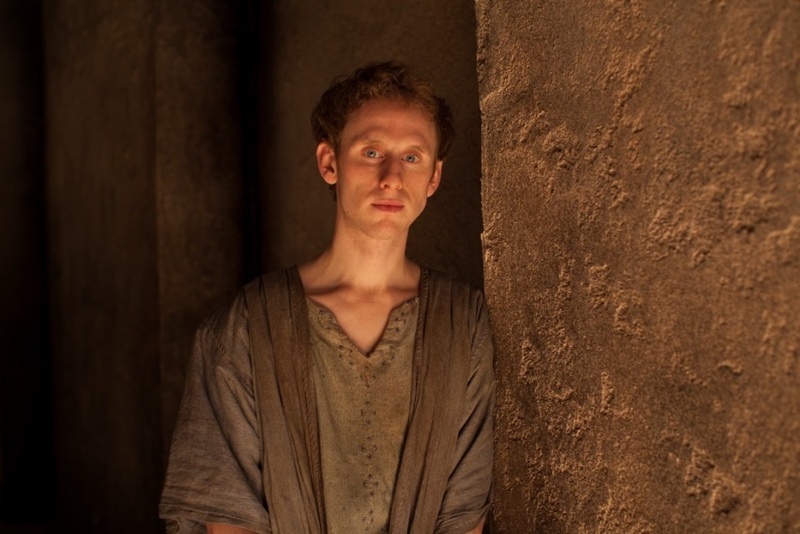 But Jason found guidance and protection with the revered Oracle (Juliet Stevenson, The Hour). He learned from the soothsayer that it’s no mistake he happened upon the shores of the famed city – it was fate. 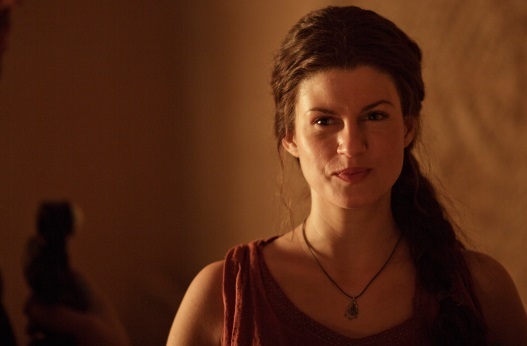 The season one finale shockingly revealed that Pasiphae is in fact Jason’s mother. But as season two begins it’s clear that Pasiphae’s desire to reign has not abated and rivalry with step daughter Ariadne has taken her to new depths. Jason’s personal involvement with Ariadne is surely a complication for Pasiphae, but will the knowledge that Jason is her flesh and blood weaken her resolve? As the battle for the throne intensifies loyalties are tested to the limit and the responsibilities of duty become increasingly unforgiving. These difficult times require hard choices for all as secrets and lies become the currency of choice and no one is immune to betrayal. As the kingdom is threatened with destruction, the time has come for Jason to fulfill his destiny – or Atlantis will be lost beneath the waves forever. Atlantis, created and executive produced by Johnny Capps, Julian Murphy and Howard Overman, is a fantastical mix of legend and history that brings to life the vast store of Greek myths and re-imagines them for a new generation. At its series premiere, Atlantis delivered the highest rated series debut for BBC AMERICA’s Supernatural Saturday block and in the UK it scored the biggest new Saturday night drama series launch across all BBC channels since Robin Hood in 2006. An Urban Myth Films production for BBC Cymru Wales co-produced with BBC AMERICA. Jason is a young and gifted warrior. Though he does not know it, he lies at the very heart of the political struggle within Atlantis, for he is the true heir to the throne. Such a strong legacy means many – including his mother, Pasiphae – would see Jason dead. He will need the support of his loyal friends if he is to survive. With the fate of the Kingdom resting on his shoulders, Jason must come to terms with his destiny if Atlantis is not to be lost beneath the waves forever. Always ready with a story extolling his many virtues, trouble seems to follow the garrulous Hercules wherever he goes. But beneath his gruff, ruddy exterior lies a lovable soul, who, when push comes to shove, will do anything for anyone. Fiercely loyal to his friends – and the crown – Hercules’ biggest problem is that all too often he lets his heart rule his head. Deceptively brave and heroic, with unparalleled strength, Hercules is a vital ally to Jason – often to be found fighting at his side. Pythagoras’ wide-eyed innocence and awkward naivety belies his brilliant mind. If words really were mightier than the sword, he would win every time. Despite his lack of physical prowess, Pythagoras is braver than many men ten times his size. Unwaveringly loyal and always on hand with a rational solution, you would be happy to have him by your side, even in the most treacherous of situations. His considerable strength of character and pragmatic nature form the essential glue that keeps the boys bonded and working as one. Ariadne is Queen of Atlantis. A young woman in a man’s world, she is faced with a myriad of difficult decisions. With traitors at every turn, nothing is easy. Driven by an inherent desire to do right by her people, Ariadne knows that she must be as ruthless as Pasiphae if she is to survive. But this is a dangerous game and she cannot play it alone. Because of this, Ariadne finds herself turning again and again to Jason, whose fate seems destined to be entwined with her own. As King of Atlantis, Minos oversaw a prosperous city and a mighty army. But despite his position of power, he was ailing physically. When Pasiphae began slowly poisoning him, this did nothing to help his condition. At the start of season two, the King has lost the battle with his health. He is finally put to rest on a funeral pyre, leaving his daughter, Ariadne, his sole heir. Once Queen of Atlantis, Pasiphae was banished from the kingdom when she betrayed her husband, King Minos. The disgraced Queen retreated to her native Colchis, but her overwhelming thirst for power has made her singularly focused on regaining the throne, no matter the cost. Pasiphae will do whatever she can to wrest the city from Ariadne. Fuelled by hatred and greed, and aided by her innate magical powers, she is more powerful than ever…Until she discovers a weakness she never knew existed when she is forced to decide what is more important, her thirst for power or her love for her son, Jason. Medea is Pasiphae’s niece, a Princess of Colchis who has inherited the gift of magic. In a world ruled by politics and power plays, she is a lost soul, seeking a connection. As her aunt’s protégé, Medea’s magical gifts are encouraged and her battle skills hardened – but she needs more. It is this desire that will eventually force her to choose where her loyalties really lie. Bound to the boys from the moment they first met, Medusa’s kindness and good humor ensured they formed an enduring friendship. Hercules was particularly smitten by her charms and the two fell desperately in love. But when Medusa opened Pandora’s box, she was turned into the snake haired monster of legend. Cursed to turn any whom she looked upon to stone, Medusa and Hercules were cruelly ripped apart. Hercules has promised Medusa to one-day find a cure. Until then, she is forced to live out her days alone in a cave on the shores of Cisthene. A year has passed and much has changed. With her father dead, Ariadne is Queen and finds herself at war with her old adversary Pasiphae. As the kingdom stands on the brink of collapse, the struggle for power is both bloody and brutal. With the future looking bleak, there is only one person Ariadne dare turn to for help: Jason. The time has come for the young warrior to fulfill his destiny – the battle for Atlantis has begun. Episodes Two-Thirteen will be released on a later date. BBC AMERICA delivers U.S. audiences high-quality, innovative and intelligent programming. Established in 1998, it has been the launch pad for talent embraced by American mainstream pop culture, including Ricky Gervais, Gordon Ramsay, Graham Norton, and successful programming formats including ground-breaking non-scripted television like Top Gear and top-rated science-fiction like Doctor Who. A joint venture between BBC Worldwide, the commercial arm of the BBC, and AMC Networks, BBC AMERICA has attracted both critical acclaim and major awards including four Emmy® Awards, five Golden Globes® and 12 Peabody Awards. The channel attracts one of cable’s most affluent and educated audiences and is available on cable and satellite TV in 80 million homes. It broadcasts in both standard and high-definition, with content available On Demand across all major digital platforms. Online,www.BBCAmerica.com is the place to go to dig deeper into pop culture with a British twist. Follow us on www.twitter.com/BBCAMERICA. Previous PostBig Hero 6 – Big Hearted, Huggable Adventure!Next PostIntroductory Teaser: Mockingjay PART 1 – Katniss Meets Cressida!